Need a facial but short on time? This quick, yet highly personalized treatment will cleanse, exfoliate and revitalize your skin in just 30 minutes. 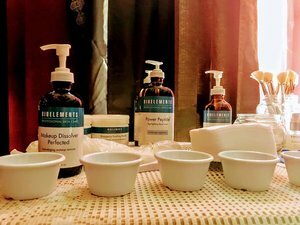 Have your pores deep cleansed and extracted or enjoy a skin rejuvenating facial massage. Hi my name is McKenzie, I am a licensed esthetician. I went to school in Beaverton at Northwest College of Beauty and graduated in February 2018. Esthetics has always been a passion of mine. Waxing is one of my favorite things, along with facials. I enjoy knowing I am giving people the relaxation they deserve! Skin care is so important in everyday routine and I love being able to share my knowledge with others. I'm confident with helping people in their daily lives. Beauty school has instilled in me to keep up on all the new trends in esthetics and the beauty industry. With all of my education, love and passion for esthetics, I am excited to make my clients feel beautiful inside and out! She is a super down to earth lady, who loves to laugh. You’ll feel comfortable right away in her presence. 10% discount for Linfield Students!